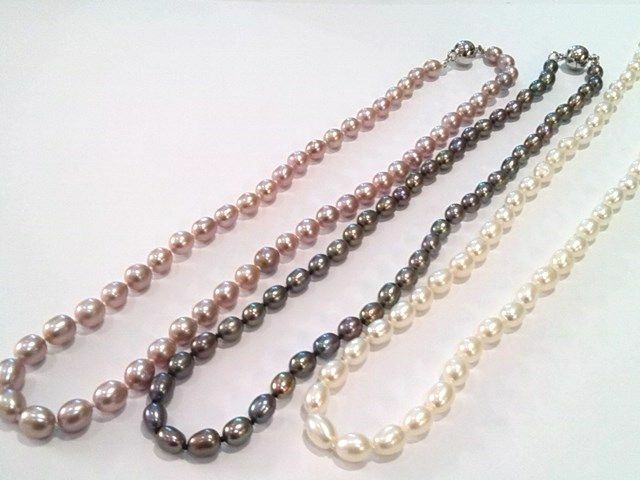 Beautiful pearls at a beautiful price! 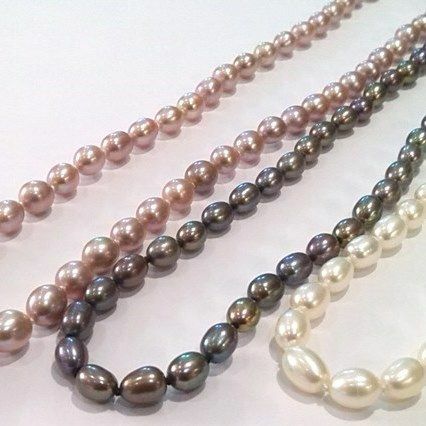 One of our really special offers, these excellent quality 6 - 7mm oval freshwater pearls come in 3 colours, sparkling lustrous white, black/peacock tones or lavender/pink, with a clasp of your choice. This example is 16 inches long. If you'd prefer a longer length, please let us know.